The Huntley 158 Education Foundation will hold its 2nd Annual Huntley Hootenanny Glow 5K Fun Run/Walk on September 7, 2019 in Downtown Huntley. 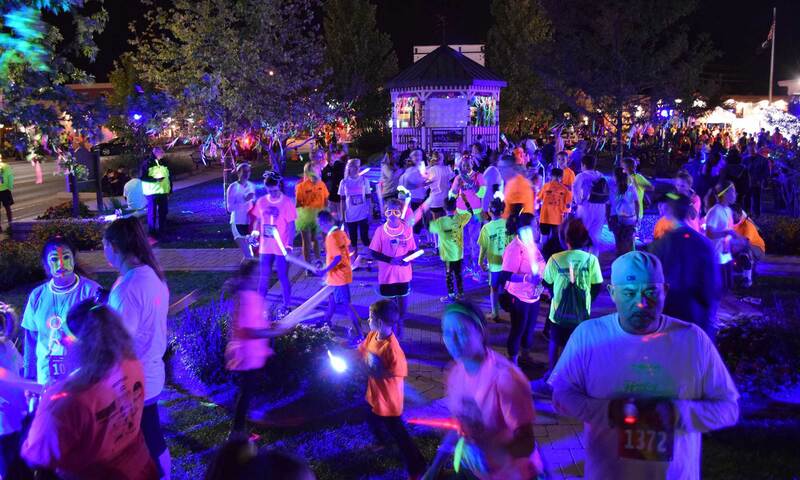 In the first year of the event, more than 1,800 participants from the local area took to the Huntley Square for a night of fluorescent fun, including a glow run/walk, dance party, children’s activities, and great food from local vendors. The 2nd annual Hootenanny will cap registration at 2,500. Registration for the event is now open, and will be exclusively online at https://www.signmeup.com/D158Glow5K. Cost is $5 for students and $20 for adults. Prices will increase by $5 after August 23. The Huntley Hootenanny is sponsored by the Huntley 158 Education Foundation and the Village of Huntley. The race is untimed. Prizes will be awarded to the first female and male finishers. In addition, prizes will be awarded for Glowiest Participant and Glowiest Building/House, Fence or Yard along the race route. Proceeds from the event will benefit the Huntley 158 Education Foundation’s teacher grants and student scholarships. Sponsorships remain available for businesses interested in supporting the event.